Montevideo – Hostels in Montevideo. Maps for Montevideo, Photos and Reviews for each hostel in Montevideo. Looking for a hostel in Montevideo? Look no further, all the good deals in Montevideo are on Dorms.com. Like thousands of other people every month, book your hostel securely at the best price in all neighbourhoods of Montevideo. On this site, you can easily find a hostel downtown, in a trendy neighbourhood; a hostel in the student- university district, close to bus or train stations, airports or major attractions of Montevideo. Montevideo's main atraction is just 5 minutes away walking. La rambla (the promenade) is the meeting point for tourists and locals, people at any age, all sort of activities: running, cycling, drinking, smoking, chilling. City center is also within a walking distance, only 15 minutes away from the hostel. We’re located in Parque Rodó neighborhood, which is a University and design area, a few meters away from Rodó Park and only 200 meters away from the beach. A 15 minutes walk will get you to the heart of the city centre. In our lively neighborhood you’ll find the best design shops, markets, handicraft shops, museums, bars and an amazing night live for different tastes. Despite my reservation the establishment did not find it! The person is cool to see too cool. I had to leave before the end because impossible to sleep before 2am (3 nights) .The count of the night was right, but I still waiting for the receipt by email. In addition, the rooms are overloaded with beds for the size and the bunk beds move so much that it seems to be on a boat. The cleanliness is poor, the sponge date at least a year ago! At rush hour the wifi is saturated and no longer works. Boxes that serve as chests are matchsticks, frankly useless. My room in the back of the garden looked more like a hut. There are late arrivals around 23h. Every time the clerk was not paying attention if someone was already sleeping and lighting up like at Versailles and was doing the explanation by speaking loudly. I changed for $ 2 more a day but nothing to see, we can breathe in the room.And after 23h people pay attention. I think in this establishment it's more a colonnie holiday. I am so glad I booked this hostel. The owners and staff were just awesome! They will really make sure that you will enjoy your stay. The atmosphere was perfect. The property is very clean. Great place to meet new people. I was welcomed with so much warmth and hospitality. It felt like home. The small house have this beautiful patio, the room was clean and tidy, and so is the bed. I loved it here. Just the place I was looking for, and needed. Thank you. we loved our stay and the property. We felt like home. The staff were warm and kind. Hostel is very clean. The breakfast was good, and the location is good too. Beautiful hostel. Amazing staff. Quiet and relaxing. Clean and bright! I am very impressed. Probably one of the best hostels I've stayed at. This property is a 4 minute walk from the beach. 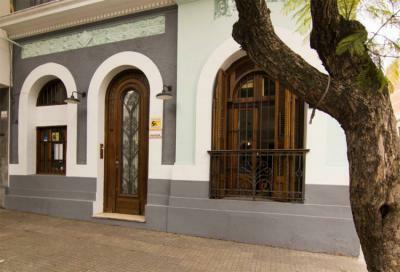 The PIANO SUR HOSTEL is located in Montevideo, 300 meters from the Independence Square. 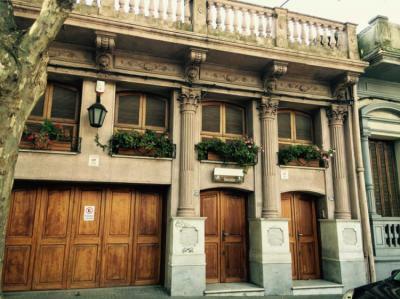 The lodging is 4 minutes on foot from the Solis Theater and 700 meters from the Cagancha Square. The hostel is 1.2 km from the market of the port of Montevideo and 1.6 km from the port of Montevideo. Carrasco International Airport is 18 km away. Montevideo Centro is a great option for travelers interested in museums and architecture culture. Building is new and so are the facilities. Breakfast was decent but pretty basic. All in all I still enjoyed my stay. The staff are very friendly looks happy to be working there. Facilities are new and modern its a fairly new hostel. Rooms are cozy, price is good.